Recently, we celebrated our one year anniversary of RVing. This past year of RVing has been really amazing for us. There hasn't been a single day when we've wished that we lived in a “real” home! We love seeing new places, trying new adventures, meeting new people, learning about new areas, and more. 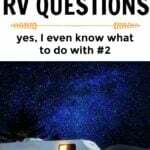 However, if you're thinking about RVing, then you may be a little overwhelmed with questions. After all, RVing is a somewhat new lifestyle that not too many people take part in. So, this can lead to many questions! 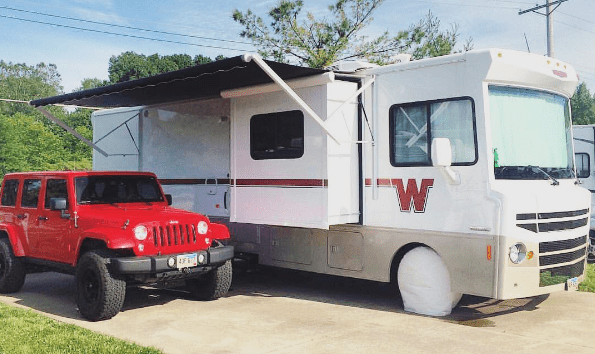 Beginner RV Tips – Dreaming Of A Life On The Road? 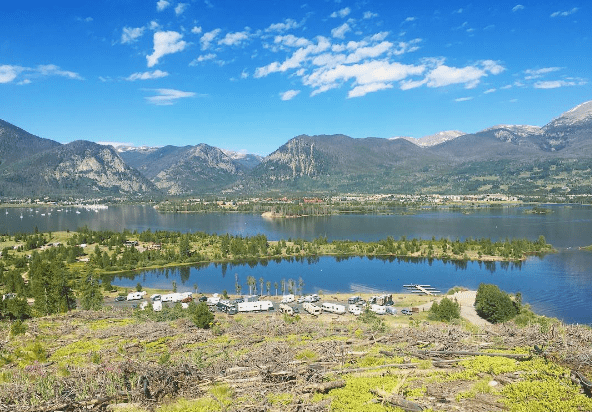 Whether you are a young RVer or if you've reached retirement age and want to start the RVing lifestyle, there are several things you may want to think about and research. If you have a significant other, they may need some convincing before you're able to start RVing. At least, that's how it has been for most of the people that I've met, haha. I won't lie, Wes had to convince me. I wasn't sure what to think of RVing, and I didn't know a single person who had ever even been in one. Due to that, I was a little hesitant about living in a vehicle. Then, we bought an RV and I honestly couldn't imagine living any other way. It's so much fun and it's such a great lifestyle. If you are new to RVing, then you probably have many questions. That's only normal since RVing is usually quite a new topic to most people. Yes, you may have already decided that you want to buy an RV, but the questions and planning do not end there! Think about what type of RV you want. 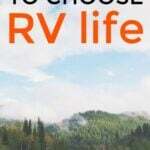 Determine what RV you can afford. Set a budget regarding gas, food, and where you will stay. Decide where you are traveling to and for how long. Note when you need RV maintenance and actually do it. Keep your pets in mind if you are bringing them. For example, we always make sure to have enough dog waste bags – no one wants to think about that, but it needs to be done! Determine what items you should bring for your trip. This includes determining how many extra fuses, rolls of toilet paper, light bulbs, trash bags, soap, shampoo, bikes, food, dishes, utensils, and so on. Book your stays. When we were tent camping, we had no problem camping anywhere. However, with an RV there are usually wait times of a few months. Yes, MONTHS! It’s very wise to book a campground in advance if you plan on staying somewhere during the high season. If you're not yet retired, then you may need to find a way to pay for your RV lifestyle. Many say they dream of traveling in an RV, but they are unable to because there is no way for them to make a living. While it may be more difficult to earn a living while traveling, there are definitely possibilities! In fact, many of the RVers we have met earn a living while on the road. Yes, many are retired, but there are still many people who hold all sorts of jobs while traveling full-time. There was a couple near retirement age but decided that they couldn’t wait any longer. So, they bought an RV and started working at campgrounds in exchange for free monthly stays. There were people who work from their RV but still have a traditional employer. They work Monday through Friday from their RV– all they need is internet. A person who traveled in order to find antiques and other items to resell. 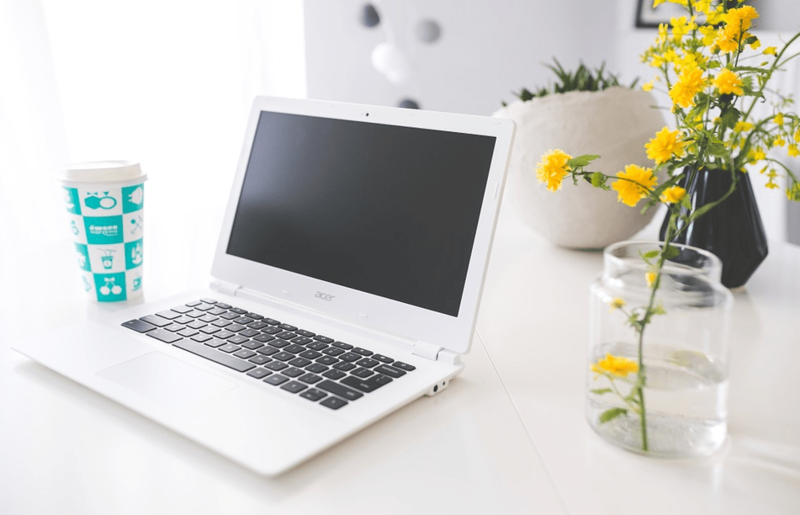 Several bloggers who write full-time (it’s what I do as well!). 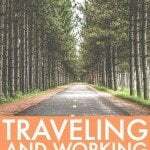 For me, I make money while RVing by running this personal finance blog. You can check out my income reports here which detail exactly how I earn a living on the road. Think about all of the costs. Many people automatically assume that RVing is cheap. Well, it can either be cheap or it can be very expensive. We know many, many people who live in RVs that cost over $300,000. We've even met people who live in RVs that cost over $500,000 and sometimes around $1,000,000! 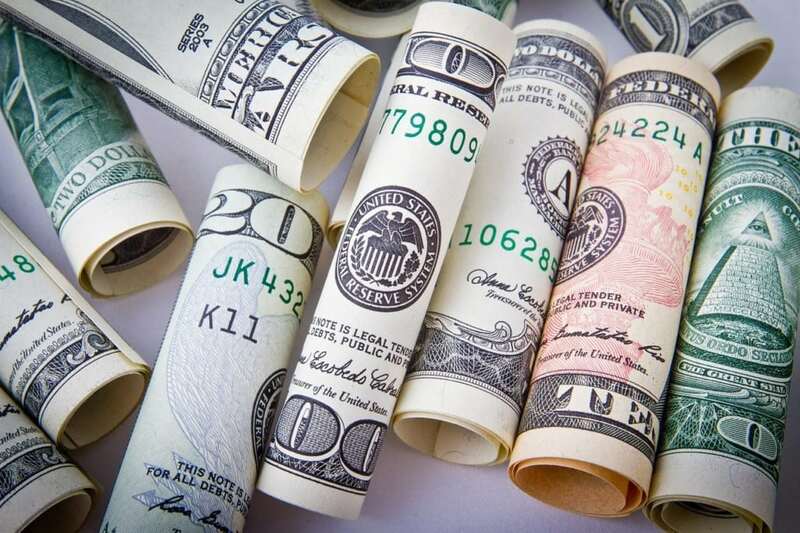 While there is no one size fits all RV budget, there are many common RV expenses. You may find that your RVing expenses are slightly different than ours. 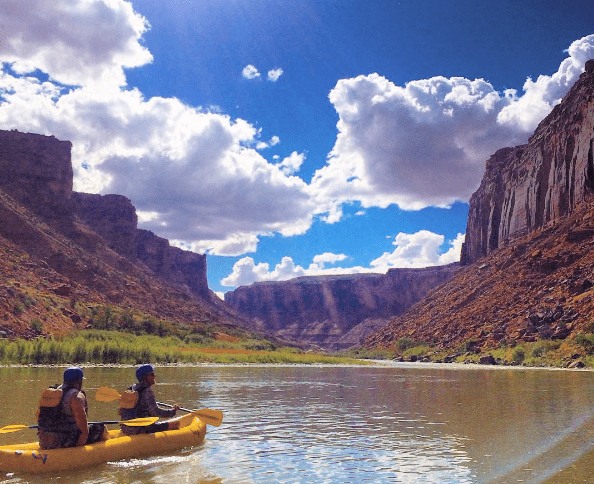 I’ve heard that new RVers tend to spend more than the average RVer, because we like to drive all over the place with no idea of what we’re doing, haha! Plus, everyone travels a little differently. Downsizing is a must if you want to live in an RV. No matter how small your current home is, your RV will most likely be smaller. Plus, RVs have weight limits, so even if it all fits, you may not be able to carry it all. So, you will want to start thinking about downsizing. You can do this slowly so that it's not as overwhelming. Make a plan. What should you keep? What can you for sure get rid of? What do you have room for? How much space do you have available? How much weight can you carry? Think about why you want to keep certain items. Doing this can help you part with things a little easier. Think about when the last time was that you used an item. If it's been awhile, then get rid of it! Go through one room at a time. Going through a whole house can be overwhelming. If you have time, then you may want to make a plan to tackle one room at a time. Carefully evaluate future purchases. Remember, you have little room to store items, so you want to be thoughtful when it comes to ALL purchases. Read more at Downsizing Your Home? Here’s How I Went From A 2,000 Square Foot House To An RV. Staying connected to the internet is a question that many people think about before they start RVing. However, I promise it's not so bad. 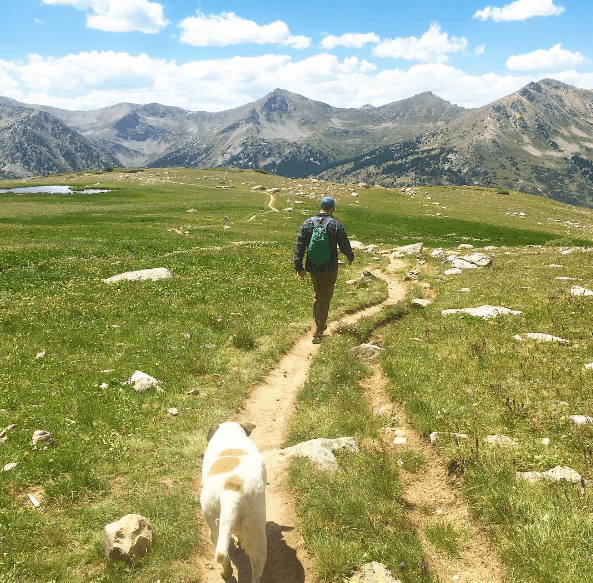 Sure, there are days where you may not have internet, especially if you like to explore and go on adventures like us (as well as most other RVers). For the most part, though, you'll have no problem staying connected. Most RVers that I've met use AT&T for their cell phone service and Verizon Wireless for their wifi. This way, you are always covered with service, which is necessary if you work online. I use a Verizon Mifi and it allows me to stay connected pretty much anywhere. Other than that, you may also be able to find wifi at campgrounds, restaurants, and stores. Don't forget about health insurance. I recommend reading the article I wrote for Winnebago, Health Insurance Challenge: Coverage for Full-Time RVers. I cover pretty much everything about health insurance for RVers, so it is a MUST read if you are thinking about RVing. To learn what your health insurance options are, you should go to Healthcare.gov, your state’s health insurance exchange, or private health insurance options such as Ehealthinsurance.com. Keep in mind that income subsidies do not apply if you purchase your health insurance on anything except for a federal or state health insurance exchange. In late 2015, I found out that I had no realistic health insurance options. I didn’t want to pay the penalty for not having health insurance, and I also didn’t want to go uninsured. See, for full-time RVers, health insurance companies are fairly strict. Some health insurance companies won’t cover you once you travel away from your state. If they do cover you when out-of-state, they usually require that you at least live full-time in your home state. Despite being RVers, we do have an address. However, it is technically not where we live full-time, so we did not want to have to deal with a health insurance company possibly voiding a medical expense if they found out that we were trying to get around this loophole. Plus, the only policy that we qualified for (in our state) had an astonishing deductible of $39,000 for an out-of-state medical expense. And, as full-time RVers, we are excluded from the majority of policies anyways due to the loophole described above, so that just didn’t work for us. 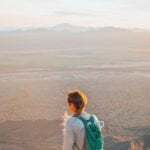 Paying a high monthly health insurance premium that comes with a $39,000 annual deductible and the fact that any of our claims would probably be voided because we are full-time travelers, made this decision a no-brainer. We obviously had to find something else. 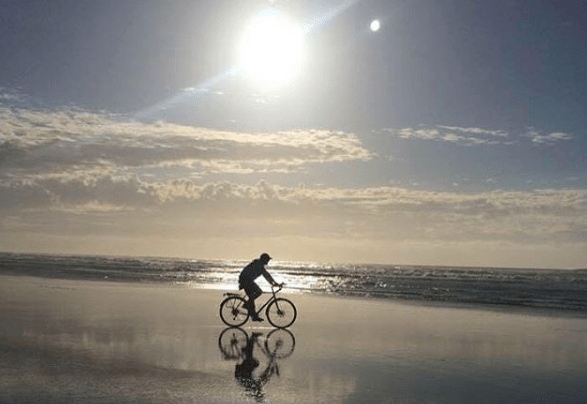 So, in January of 2016, we started a membership with Liberty HealthShare. Yes, we now belong to a health sharing ministry. Read the rest at We No Longer Have Traditional Health Insurance – Liberty HealthShare Review. If you want to RV full-time, then you will need an address. This allows you to have a driver’s license with a correct address, receive mail, fill out paperwork, vote, and so on. For us, we have a domicile not in our old home state, and we use a local mail forwarding and sorting company for our mail service. All of our mail gets sent there and then that company forwards our mail to wherever we are. Makes it super easy! You can choose to be domiciled anywhere. But, the majority of people seem to choose South Dakota, Texas, and Florida as their domicile state as they make it very easy for RVers to claim residence, receive mail, renew plates and licenses, and more. I highly recommend reading Picking a Domicile State, Getting Mail & Voting as a Nomad on Technomadia as they have the best article on choosing a domicile that I have seen. In fact, I used this when choosing our domicile! 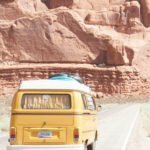 Are you interested in RVing? What questions do you have for me? We're Going To Live In Our RV Full-Time! Very interesting. We really have no interest in doing this but it’s cool to know how much goes into it. Glad it’s working out well for you guys! Thanks! We really love Rving. My wife & I want to do this in the future for long weekends or several weeks out of the year. We need to get out of the diaper phase for this to be viable, so maybe in a few years. It’s awesome that you guys have the opportunity to see the country this way. Next stop…Europe! Heading over to read the domicile post next! We actually own a condo in Florida (and we live in NY now) – so it should be pretty seamless to do that we hope! We are looking to RV/Camp during part of the year starting next fall! We are starting a list of questions – but a lot of your posts already have the answers 🙂 Great stuff! Thanks so much for writing this Michelle. As my wife and I get closer and closer to the RV life, posts like this are extremely helpful for us. I’ve added it to my google docs spreadsheet for RV information. Well, we still have quite a few things that need to fall into place (including getting an RV). But my wife graduates from Physical Therapy school in May 2017. Our goal is to be on the road sometime July – August of 2017. Yeah, it kills me when people think that it’s always super cheap to RV. The RV park we’re at right now is $1,800 a month! Of course, they’re not all this expensive, though – just the popular areas. Michelle, you’re making me want to get an RV. I don’t foresee it happening for J.D. and I for a few years, though, because of school. Sounds like a big leap of faith with so many things to consider and get in order. Glad it worked out for you. For a year! Wow! I think I am gonna give Rving a try. Congrats Michelle. You have inspired my husband and I to seriously consider RVing in the near future. I never thought something like this would spike my interest,but we’ve become a little bored with life in the suburbs. Oftentimes you end up making life decisions because you’re told that’s what you’re supposed to do. Your blog has opened my eyes to other options and has given me a lot to think about. p.s. I recently enrolled in your course and I’m loving it! RVing across America sounds amazing. Would love to do this in the future. 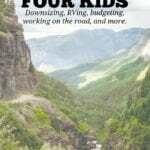 Would be interesting to RV with two kids. I can’t believe it’s been a year! My biggest challenge would be getting paid. Most of my clients pay by check (even though I’ve asked for direct deposit) :/ Do all your payments come through paypal and direct deposit? I still receive quite a few checks each month. They are delivered to our mail forwarding address and then that company just mails all of our mail to wherever we are. I can’t wait to start RVing one day! My husband has said he would do it, but I know I would be the one convincing him. Thanks for sharing all the advice! You guys are on a fun adventure and best of all you did it while you’re young, a lot of people have to wait until they’re seniors to do this! Wow. 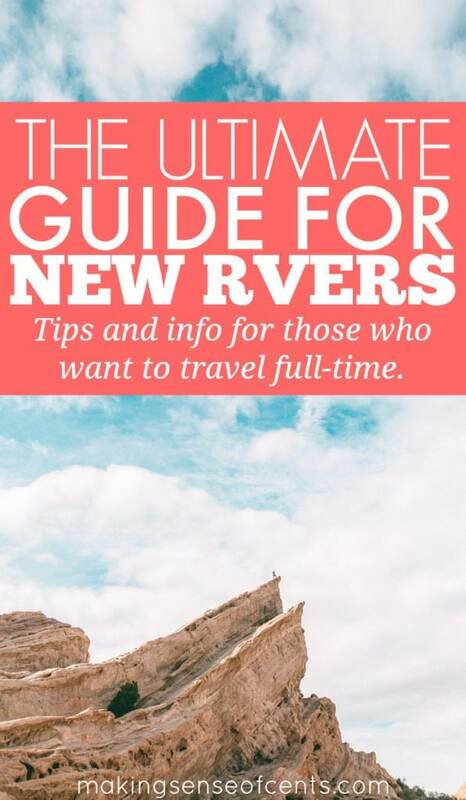 I had no Idea you were a full-time RVer! I signed up for your blog a while ago to get tips on starting a blog and life took some mean turns which postponed my plans. Funny thing is, we are going to Arizona to help my parents, so in between, my husband and I were thinking about taking the 5th wheel and doing camp work. This is a wonderfully comprehensive list which I feel is invaluable to many. It seems to be a little stroke of serendipity that I got the email for this article today. Great Job! Can’t wait to show this to my hubby! Thanks!